MoJo Promotions stock a splendid selection of personalised blue or red products, all designed to be custom printed with your brand. Blue Or Red Products provide a excellent way to expose your company name. The value of personalised blue or red products is ensured to ensure your advertising targets are met. 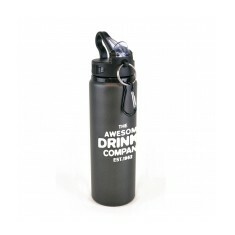 Our range includes - 800ml Aluminium Sports Bottles to mention but a few. All of our merchandise can be personalised to suit your intents, please contact us for more information. Large capacity. Fold out sip straw. Screw top lid. Matching carabiner. Printed or engraved.